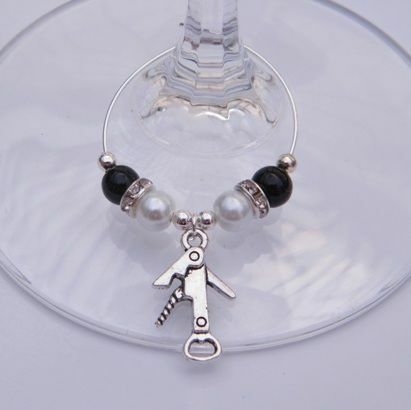 Beautiful Elegance Style Wine Glass Charm, featuring Mini Silver Plated round beads and Stunning Rhinestone Sparkle Spacers as part of the design. Add a gorgeous touch of Elegant Sparkle to any glass! Add a touch of Themed Elegance to your Wine Glasses! All our Elegance Style Wine Glass Charms are Handmade to order by Retro Wishes in the UK.